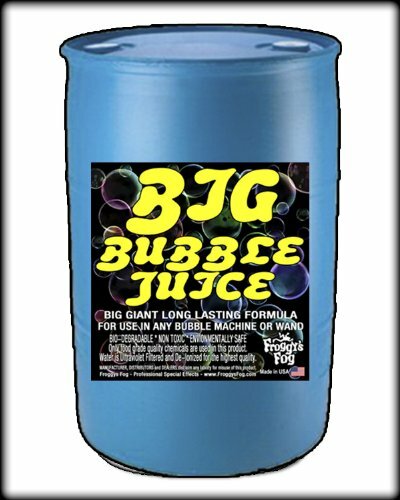 55 Gal - BIG Bubble Fluid - Enormous Long-Lasting Bubble Fluid. Specially formulated for use in Bubble Machines, High-flying bubbles, Non-staining, Non-toxic. Froggys Fog bubble fluids are designed and tested to provide exceptional output from bubble machines.